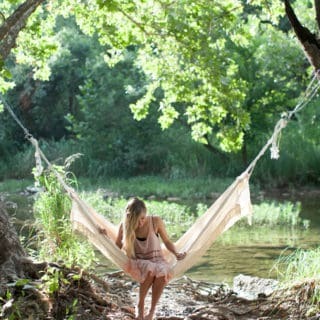 We all need to relax sometimes. Chill, as millennials say. 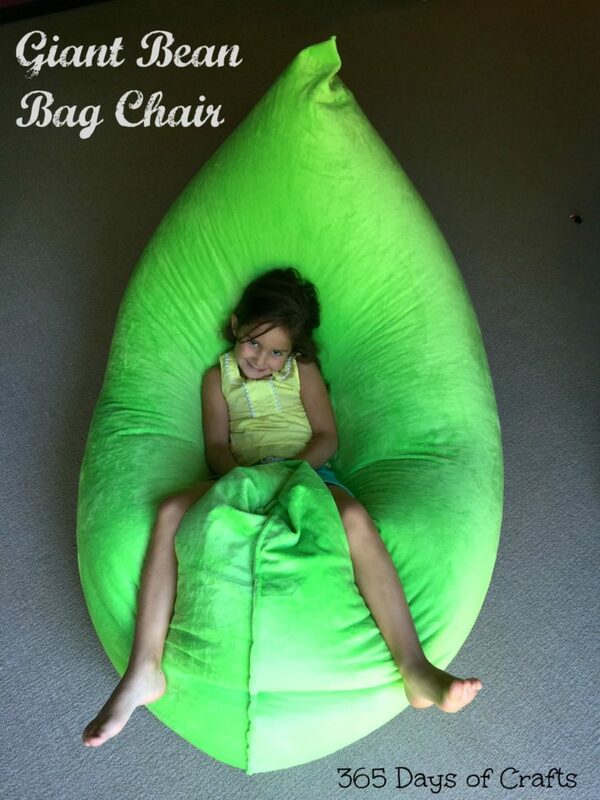 If you’ve ever sat in a bean bag before, then you know the true feeling of relaxation! There’s something about them that just helps us reset. 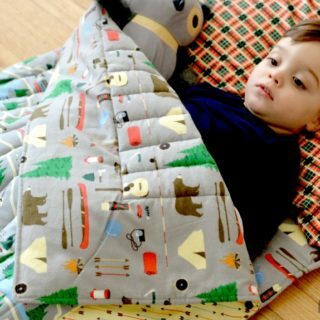 They are perfect for kids and pets (when you want them to take a nap but they don’t want to go to their bed) and perfect for you, when the feeling of tiredness kicks in and you need to slow down a bit. 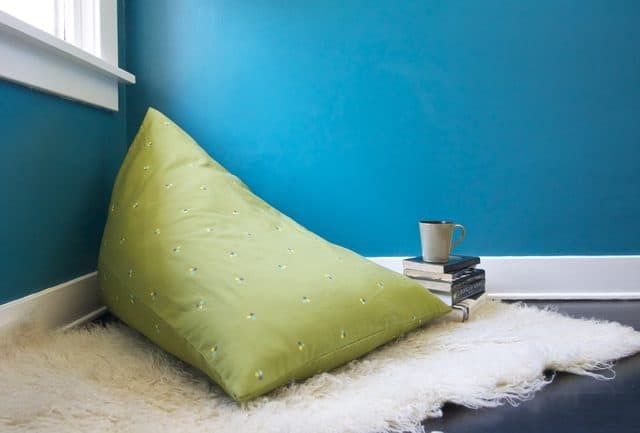 Take a look at these DIY bean bags and find the one that will help you unwind! Who doesn’t like to bury themselves into a giant bean bag and just pretend we don’t need to adult? 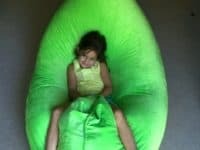 Learn a lesson or two from your darling children and enjoy some lazy moments in this this gigantic bean bed! 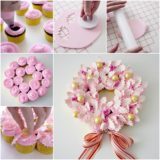 You will find the instructions at So Much to Make! 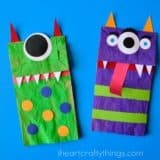 This is a lovely thing to make for your children! 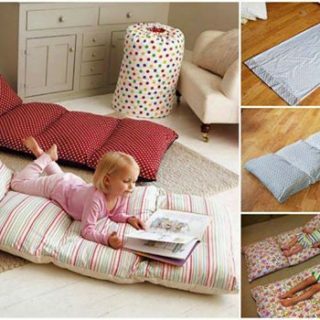 They can use it to rest after a long day of playing at the playground or maybe they can make it a part of their reading nook! 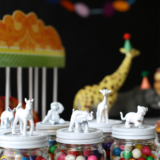 It’s a comfortable addition to any child’s room, so visit Project Nursery and get the how-to! 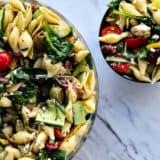 Do you have an hour to spare? 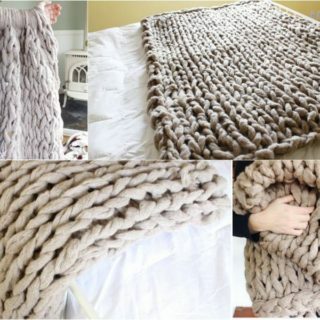 Here’s a great project to make! 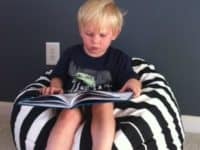 2 Little Superheroes will tell you how to use up only 60 minutes of your time to make a fantastic bean bag that will serve as a comfy resting place for your little ones! 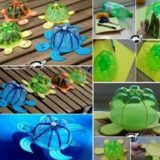 It’s a project busy moms will definitely appreciate! 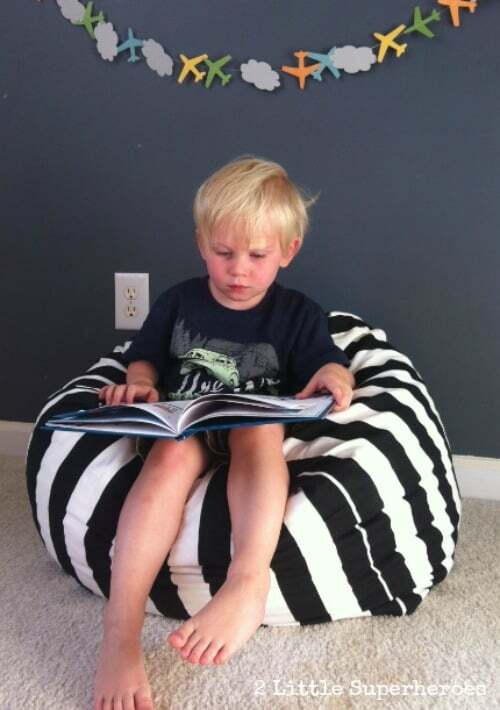 If you need your bean bag to have some back support (we’re not getting any younger), this one is your destined match! 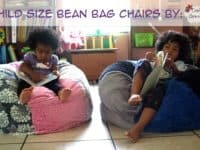 Enjoy a hot cup of coffee as you’re reading your favorite book, lounging in a beautiful and cozy bean bag, not worrying about back pain! 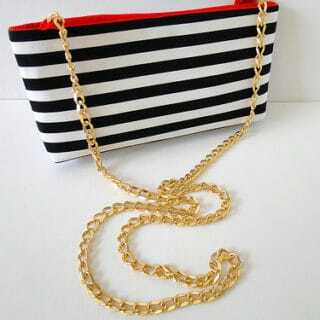 eHow holds the key to success! 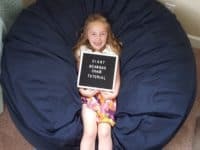 Just look at this big and cute bean bag! 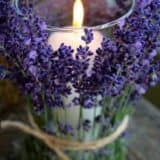 You can really just plop yourself into it and let it do its magic! 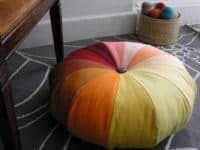 Bean bags like this one can get über pricey, so avoid their high costs and choose the DIY way instead! 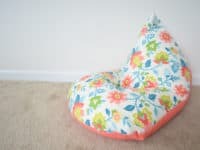 365 Days of Crafts has the instructions for this affordable bean bag! Don’t let your baby miss out on the comfort of a bean bag! 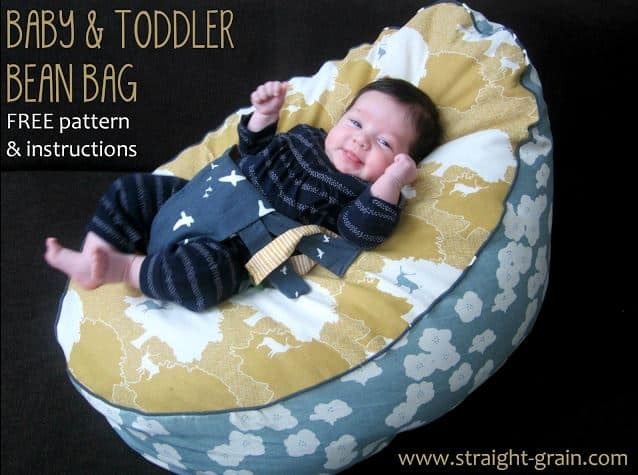 This one by Straight Grain is designed especially for your little bundle of joy! 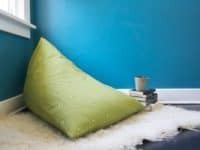 You will recognize its true value once they peacefully fall asleep in it and you’ll get a few hours to relax in a bean bag of your own! 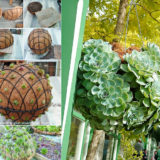 Colors always bring a certain dynamic into the living space! 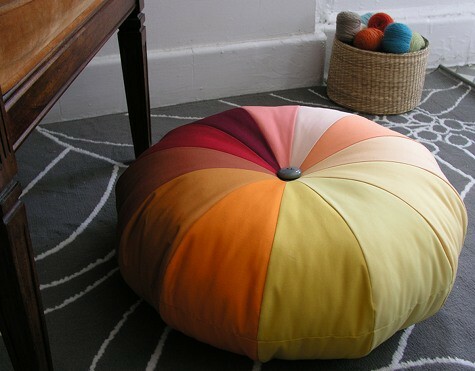 This colorful bean bag is a great choice if the gloomy, rainy days are getting you down! 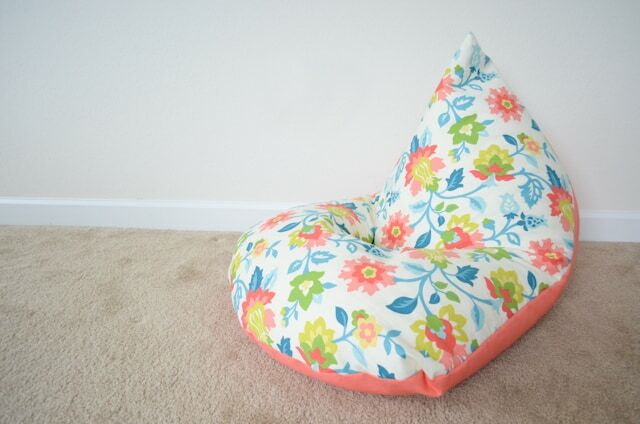 Make yourself some tea and sit comfortably on this bright bean bag! It’s a true mood elevator! 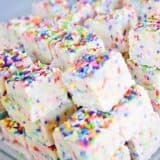 See how Design Sponge made it happen! 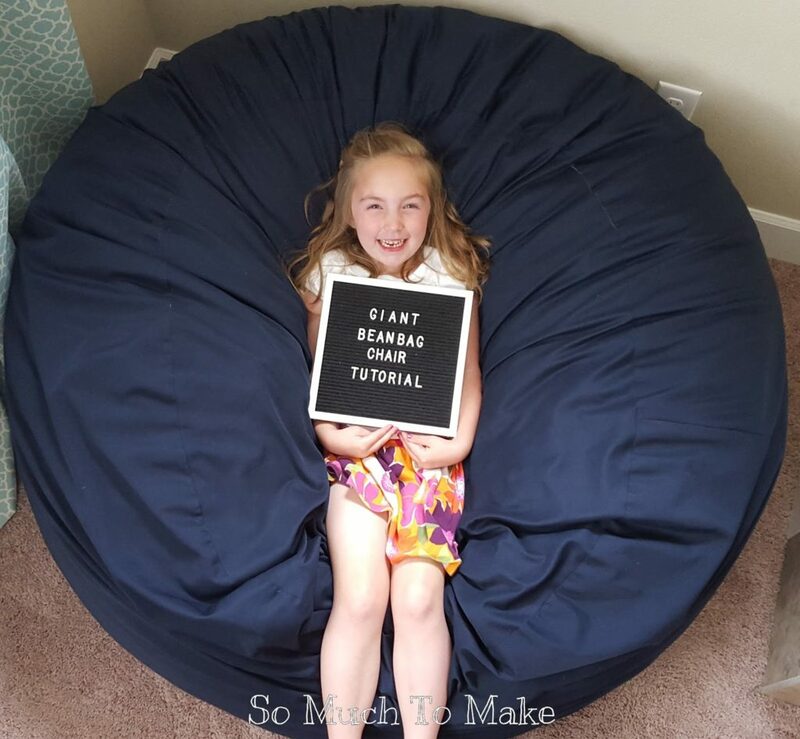 If you want your bean bags to be super fluffy, see the tutorial by The Crafty Gemini! 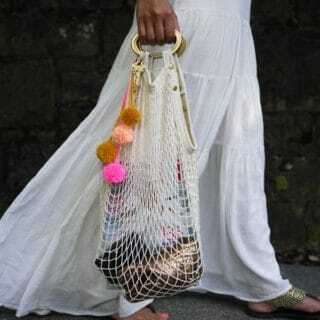 They are soft and interesting, but not only that, they are washable as well! 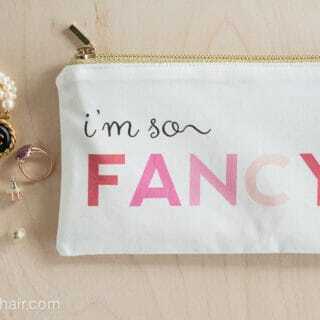 Yep, you heard that right! 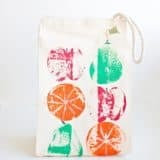 You can let your toddler eat messy things and not worry about them ruining the bean bag! 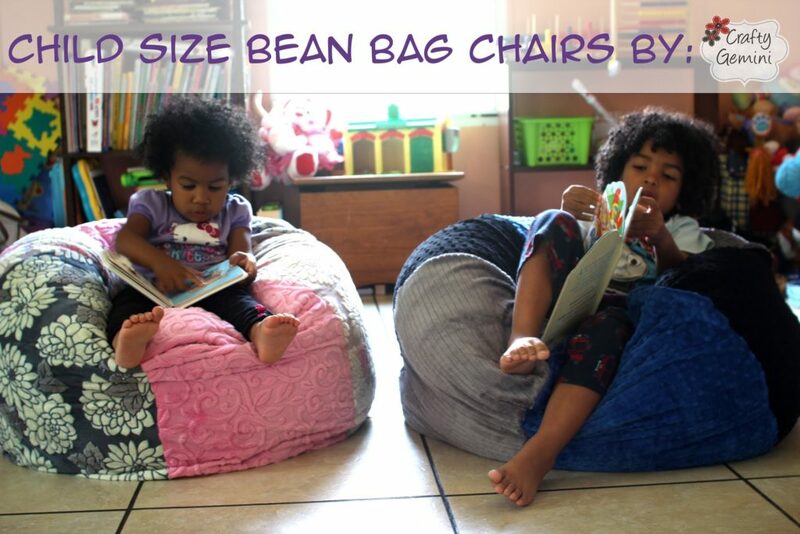 How do you like these bean bags? Which one is your favorite? Let us know in the comments below!